Why Did Queen Elizabeth I Never Marry? This a question has fascinated people since Elizabeth the Great was alive. Considered one of the greatest monarchs in English history, an intelligent and pleasing woman, deemed a beauty during her time with a knack for fascinating men, it is a true curiosity. She had at least half a dozen men fall in love with her and had many offers of marriage from English poets to monarchs from allied countries, so a lack of suitors was certainly not the culprit. Why then did this woman choose to rule alone during a time when that was unthinkable? Elizabeth intentionally left a lot of ambiguity on this subject, never admitting a hard answer, but there are three main theories. 1) She couldn’t get over the fear. We have to remember that Elizabeth came from a family where wives were stripped of their power, influence, and even their lives when their husband lost interest in them. Besides the six wives of her father, King Henry VIII, Elizabeth often witnessed women who were manipulated and destroyed by political marriages and controversies. It was shortly after the execution of King Henry’s fifth wife that Elizabeth first made her famous proclamation, “I will never marry.” While Queen Elizabeth seemed to enjoy the exciting phase of courtship, when it came down to the commitment, she reneged. It could be that she simply couldn’t get past the fear planted by the demise of her mother, her mother’s cousin, and other women she had known during her childhood. The second theory lies in the political clout held by a beautiful, intelligent woman who also happened to be the queen of a great country. As long as Elizabeth was single, the possibility of a political marriage remained an option that could tempt other countries into amicable relations, a card the queen played many times. Elizabeth entertained suitors from Sweden, Spain, Denmark, Austria, France, and Italy as well as many nobles from her own country. Interestingly, none of these worked out. It is apparent that she held the hearts of her countrymen. She always claimed that she was married to England and therefore could have no other husband. Perhaps she felt that if she married, her countrymen’s affection for her would be cooled. But if this theory was true, wouldn’t Elizabeth have married once she approached the age that would be deemed too old for marriage and procreation? She played the courtship game up into her forties, but even that match didn’t come to consummation. Some believe that she teased too long and when that last match didn’t pan out, she was out of luck. 3) She was in love with a man she couldn’t marry. been the man Elizabeth loved. The third theory asserts that Elizabeth had fallen in love with a man she couldn’t marry. 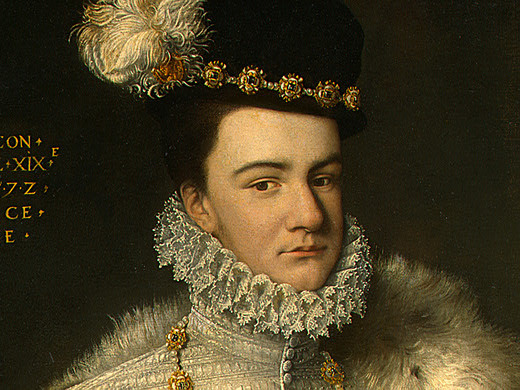 Perhaps she fell in love with Thomas Seymore when she was a young adolescent, but it was too dangerous to marry him, and then he was executed for treason. She might have loved a man of lower birth whom she was forbidden to marry. 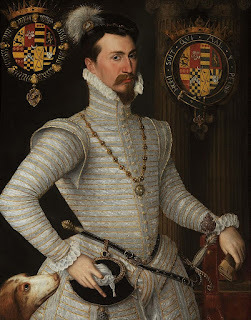 Perhaps she was in love with Robert Dudley but couldn’t bring herself to marry him because of the political implications. Many men were said to have been in love with her, but she came closest to accepting Dudley. However, it was well known that her people would revolt if she married him, mostly due to the fact that his last wife had come to a suspicious death. I personally believe that Elizabeth’s singleness was the result of all these reasons combined, but regardless, she remained the “Virgin Queen” and the closest thing to an explanation were the words she gave her Privy Council; “When my God and country so require, I will marry.” Apparently, they didn’t. 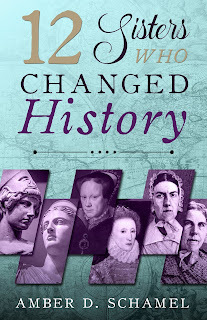 Queen Elizabeth I is one of the twelve women featured in my new release, Twelve Sisters Who Changed History. In celebration of the release of Twelve Sisters Who Changed History, I'm giving away an ebook copy! Leave a comment below to get your name in the drawing. Don't forget to leave your email address so I can contact you if you win. Historians paint pictures of amazing men and women who influenced the world, but seldom do we hear about sister duos that forever altered the course of history. Whether fighting together—or against each other—these twelve women transformed countries and religious systems. Join us on an inspirational journey through time as we explore the extraordinary lives of Sisters Who Changed History. Find it on Amazon. Glad you enjoyed the post, Connie! Thanks for stopping by and entering the giveaway. Best wishes in the giveaway. Amber, thank you for sharing interesting facts about Elizabeth the Great. 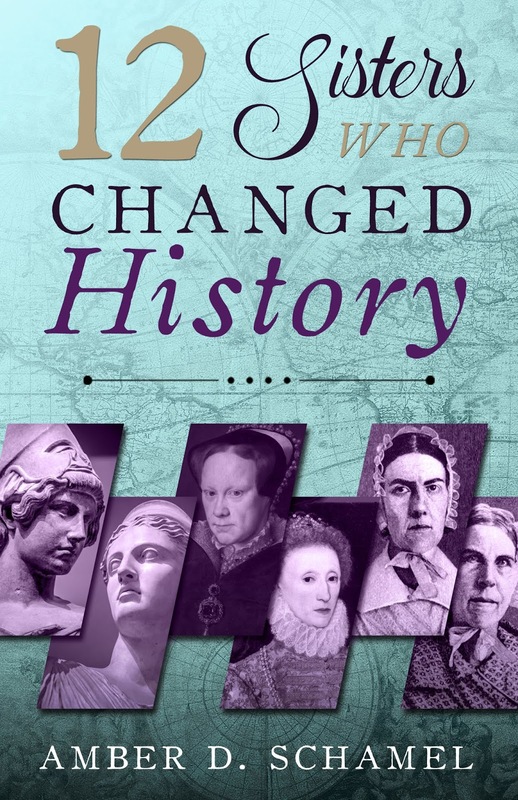 I'm looking forward to reading 12 Sisters Who Changed History. I've enjoyed reading all your other books. Thank you for the giveaway. This is a fascinating post. Thank you for going into the explanation of each of these theories. Thank you for the chance to win a copy of your book. Thanks for stopping by today, Debbie! 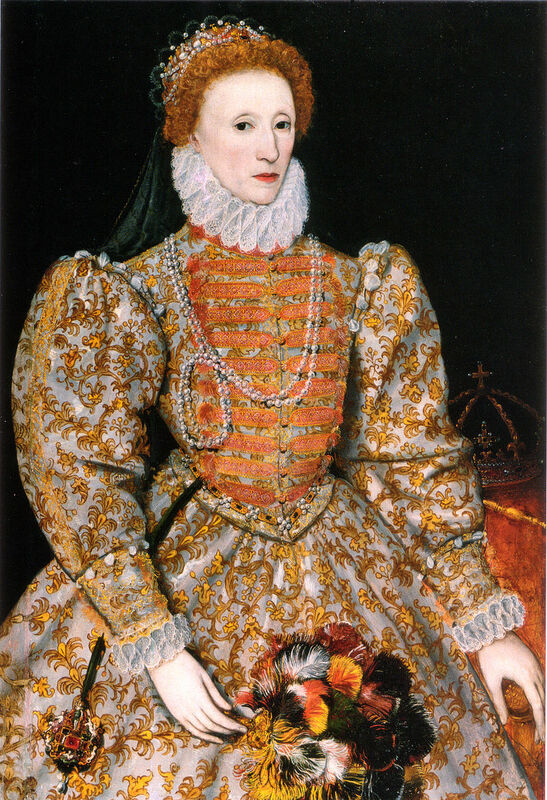 Elizabeth I is a fascinating character and was so much fun to study. Most fascinating research! I'm sure I would learn a great deal reading your book, Amber. Thanks for the giveaway. I hope you get a chance to read it, Betti! Thanks for stopping by, and best wishes in the giveaway. Thanks for sharing some of Elizabeth's history. Women of power certainly were challenged then and they continue to be! I look forward to reading about the other eleven mentioned in your book! Very true, Connie. They face more challenges than we can imagine. Very interesting post! Your book sounds so fascinating. I'd love to win a copy and explore it more thoroughly. Thank you to everyone who entered the giveaway! The winner is Connie R.